How do I obtain the iTestSystem software? You can download the free version of the iTestSystem software from our website, iTestSystem.com. How do I purchase the full featured version of iTestSystem? Call an ITM representative @ 844-TestSys or email sales@itestsystem.com. Can I get a trial version of the full version of iTestSystem? 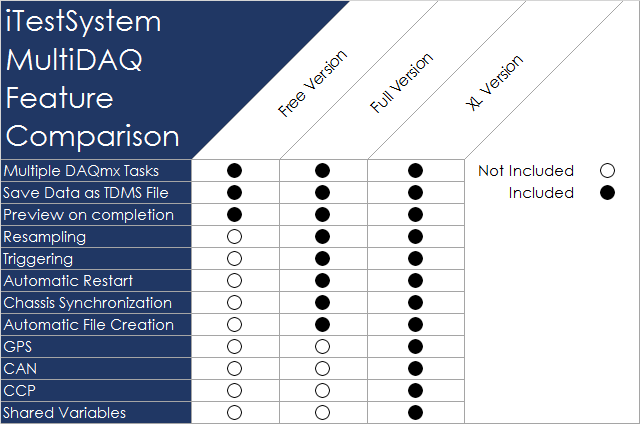 Yes, call or email an ITM representative @ 844-TestSys or email sales@itestsystem.com and ask them to send you a 30 day evaluation (serial number) of the full version of iTestSystem. I submitted a request for the iTestSystem download on iTestSystem.com and have not received an email containing the download link. What should I do? If the download link email is not appearing, check that it is not being caught by your spam filter. Once you click on the link provided in the download email, an executable installer will be saved to your downloads folder. The Update Service is not working. I cannot download the plug-ins. What should I do? This is often due to corporate restrictions on your internet, and proxy settings may be required. Your IT office can typically determine if this is the issue and set up the proxy settings. If you’re still having issues, contact ITM @ 844-TestSys for further recommendations. 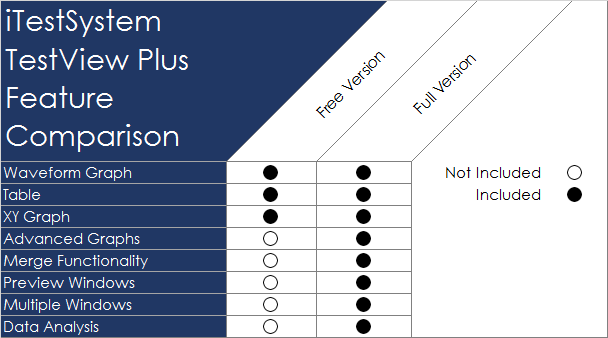 What are the differences between the free and full versions of iTestSystem? How do I configure my test? Click on the options gear ( ) and select the “Configure” option. My USB device is not recognized by Windows. What should I do? First, remove the cards and plug them in again. This fixes most problems. If that did not work, try to reset your NI MAX configuration and check that NI Device Loader service has started. My Ethernet Chassis is not working or was not found in NI MAX. What should I do? Check that you have a compatible IP address. Verify that the Ethernet cable is good. Ensure that you selected “Add Device” in NI MAX. Reset your NI MAX configuration. Verify that the chassis is reserved. Can I record data with different sample rates? Yes, simply create multiple tasks with different sample rates when using MultiDAQ. Can I record synchronized data with multiple chassis/devices using MultiDAQ? With the full version, yes. With the free version of iTestSystem, no. Can I record resampled data using MultiDAQ? Can I use triggers to start recording data using MultiDAQ? I configured my MultiDAQ then tried to run it from the iTestSystem Configure screen and the iTestSystem software locked up. What happened? After you configure the MultiDAQ, be sure to click the “Apply” button before running it. Can I record synchronized data between separate MultiDAQ tasks? No, recorded data will only be synchronized if the chassis and channels being recorded are within a single task and the synchronization function is selected. How do I plot multiple channels on a graph at one time? Hold the Shift Key while selecting what channels to plot. Push the right arrow key or drag the selected channels into the graph. How do I add additional channels to my existing graph? Hold the CTRL Key while selecting the new channel(s) and drag onto the graph. Can I use the analysis functions in TestView+? How do I configure my analysis routines in TestView+? If you have the full version of iTestSystem, plot the data to be analyzed in a Time History graph. Now, right click on the analysis routine (top middle button list) and select configure. 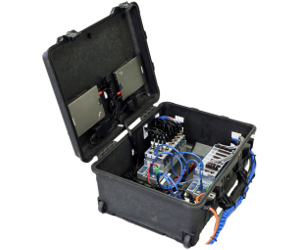 The iTestSystem (iTS) 2011 Platform enables the user to organize, acquire and view important engineering data using National Instruments (NI) C-Series hardware. ITM provides software development, structural and mechanical testing services, industrial monitoring, strain gauging, and data analysis solutions to clients on six continents. ITM is a recognized National Instruments Gold Alliance Partner.